Fragrance, colour, paraben free formula for extra gentle cleansing – suitable for daily use. Created to be mild enough for those undergoing Chemo/Radiation therapy. 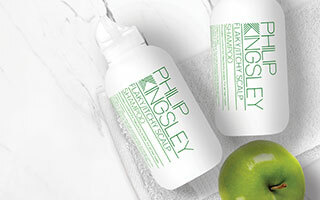 Leaves hair shiny, soft and manageable. Aqua/Water/Eau, Sodium Laureth Sulfate, Sodium Lauroyl Sarcosinate, PEG-18 Glyceryl Oleate/Cocoate, Lauryl Betaine, PEG-150 Pentaerythrityl Tetrastearate, Sodium Cocoyl Glycinate, PEG-6 Caprylic/Capric Glycerides, Sodium Benzoate, Potassium Sorbate, Sodium Chloride, Coconut Acid, Sodium Hydroxide, Sodium Carbonate, Citric Acid. It is likely that everyone knows a person who has undergone the trauma of being diagnosed with cancer and having to be treated by chemotherapy. It’s also common knowledge that one of its side effects can be hair loss. The disease, so distressing in itself, gives further distress and anxiety when one of the most upsetting side effects of treatment is loss of hair. However, hair lost as a result of chemotherapy does grow back. Chemotherapy describes any treatment where ‘chemical’ agents are given intravenously. With cancer, the chemicals given during chemotherapy are used to destroy cancer cells, but these drugs can also have a toxic effect on other parts of your body and very often disrupt your natural hair growth cycle. 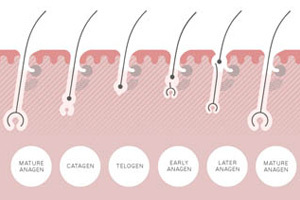 Chemotherapy can cause your hair to bypass the normal shedding (telogen) phase, and come out excessively in the hairs’ growing (anagen) phase. This is called anagen effluvium and usually occurs within 4-6 weeks of starting treatment. However, some chemotherapy never causes hair loss. Individuals undergoing chemotherapy sometimes prefer to completely shave their heads before their treatments to gain a sense of control. It’s often less distressing to do this as hair fall is not as obvious and isn’t actively seen. We generally advise those with long hair to adopt a shorter style. Hair loss is less visible and emotionally it may be easier. Other ways to help cope with hair loss and to boost morale are to wear scarves, hats or hairpieces and wigs. Modern wigs can look very natural and there are a wide range of different colours and textures to choose from. Wearing wigs won’t inhibit hair growth, but we advise you leave them off whenever possible to let your scalp breathe. Your scalp tissue still contains oil and sweat glands, so even if you lose your hair or shave it off, daily shampooing is best. In 99% of cases, hair does grow back after chemotherapy, but you may find your hair grows back differently. Your hair might change its colour, shape and/or texture. It could also initially grow back fine and fluffy. The latter is only a temporary change though, and your follicles will eventually produce mature hairs. As soon as your hair has grown back, and is strong enough, you can start using conditioners and styling products as usual. Having your hair styled by a professional hairdresser who knows you and understands your situation can also be very helpful and reassuring. However, great care should be taken when styling initially to avoid pulling out and breaking new, fluffy hairs – this is especially true with massage. Hair colouring can also be continued, but a skin patch test must be done initially, regardless of applications before chemotherapy. This is particularly important with permanent hair dyes. You can also begin to perm or highlight your hair once your hair has grown. While perms and highlights don’t cause allergies, a strand test must still be done on the first occasion after treatment. Even though it’s still your hair, the new hair may react differently than it did before. 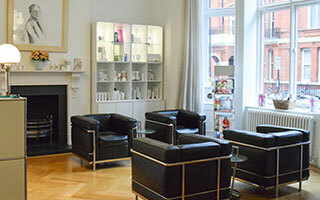 Localised radiotherapy can cause hair loss in the treated area. In breast cancer this includes the armpits. When the head is treated with radiotherapy, particularly in the treatment of brain tumours, hair follicles in direct contact are permanently destroyed. In many cases hair transplantation can be successful, but, as with other forms of cosmetic surgery, it’s essential that you are referred to the best specialists.